IR is also still the dominant wireless technology for TV/audio remote controls. RF remotes are available but most consumer products still use IR. There are billions of these devices out there. Then there are the free space optical (FSO) terminals used in lieu of microwave backhaul and other high speed data links. These use 850 nm VCSEL LEDs or laser diodes with lenses for transmitters and sensitive photo detectors like PIN or APD diodes in the receiver. These units can achieve data rates to 10 Gb/s or so over distances of 2 to 3 km. Range is limited by clouds, fog, dust and pollutants, rain and snow. A good option to microwave links when no spectrum is available. Optical spectrum is not regulated. Visible light has never been widely used for communications except perhaps for Morse code between ships at sea as during World War II. Visible light is just not a popular medium because of the interference from ambient and other visible light sources, low data rates and short ranges. However, that may be changing. Recent research has led some to conclude that visible light communications (VLC) may become a popular complement to other well-known wireless technologies. The one development that makes VLC practical is LED lighting. With the government continuing to ban incandescent light bulbs and LED bulb equivalents finally decreasing in price, it suddenly begins to make sense to build light transceivers into LED light fixtures. LEDs can easily serve as carriers for even very high data rate signals. Modulating the visible light at high speed has no visible effect on the light output. And since light is spread everywhere by the LED luminary, the wireless coverage is omnidirectional. Range is limited by the intensity of the light and photo detector sensitivity but it is usually confined to a room or other space making it practical for short range (<10 meters) applications. VLC could actually compete with short range wireless technologies like UWB or WiGig 802.11ad. The modulation of choice for LEDs is amplitude modulation. It would be easy to vary the intensity of the light using ASK or OOK data formats. Rates of many megabits per second could be readily achieved. FSK or PSK is out of the question here. However, technologies like discrete multi-tone (DMT) of orthogonal frequency division multiplexing (OFDM) could be used. These multi-carrier methods are very spectrally efficient so could boost data rates to many Gb/s. LED lighting is still a technology waiting for the affordable prices. And there are still power dissipation issues to be resolved in some LED luminary fixtures. Yet the time will come when it will all work. Then we may see VLC find a niche. As more appliances, accessories, peripherals, and devices include a wireless link, VLC could become an option. As we rapidly run out of radio spectrum, VLC could fill some gaps that could be created by the blossoming of the Internet of Things (IoT) movement. 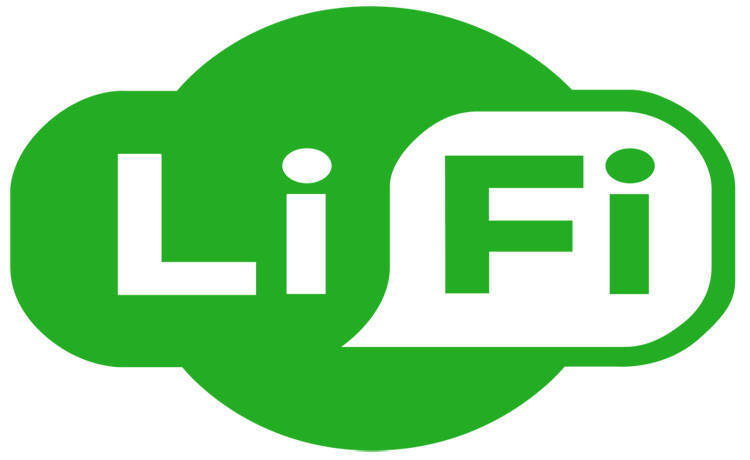 Relating to our activities, add in Clover-Net® architecture LiFi technology for short range communication could make sense. This combination Clover-Net ®/LiFi could bring real added values to achieve indoor localization, on the fly synchronization or beacon detection.